These Innokin Coils are compatible with the Slipstream atomizer tank / Kroma starter kit and Pebble mid-power vaping starter kit. 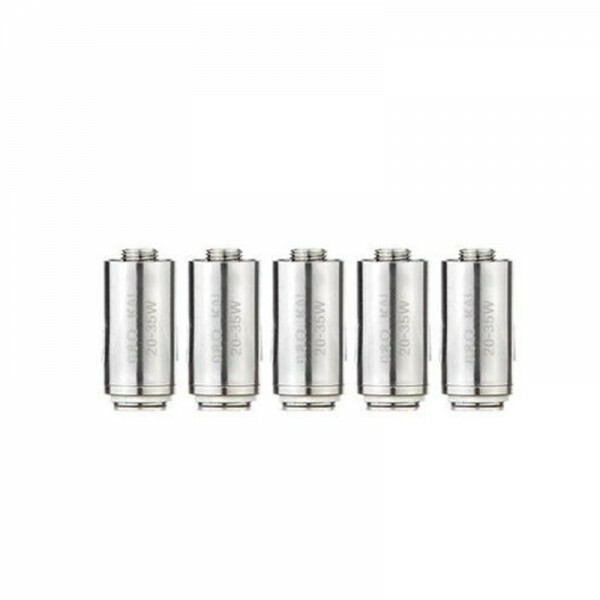 These Slipstream, BVC (bottom vertical coils) allow inhaled air to pass down through the coil body, then up through the atomizer coils central airflow channel. This advanced airflow system is designed to make the Slipstream tank virtually leak free. This 0.8 Ohm Kanthal BVC coil is a general-purpose coil that's ideal for all day vaping. The 0.8 Ohm coil produces good flavor when fired at wattage settings between 20 and 35 Watts. Kanthal wire atomizer coils can't be used in temperature control mode.